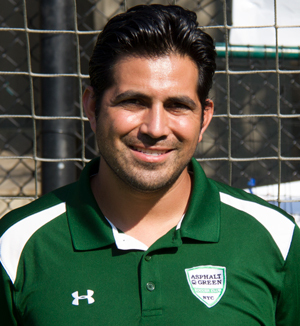 Asphalt Green Soccer Club coaches are USSF/NSCAA licensed personnel, who are former collegiate and professional level soccer players and coaches. Our coaching staff has extensive experience coaching children and practices the principles of the Positive Coaching Alliance. 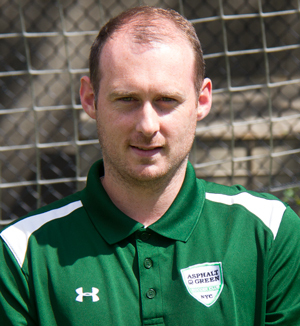 Adam has many years of experience coaching at elite soccer academies and high schools. He was named Coach of the Year three times at Willow Glen High School in California and led the team to two state championship titles. As a player, he competed for the semi-professional team Real San Jose in the National Premier Soccer League and completed his collegiate career at San Jose State University, an NCAA Division I school. Adam holds a Mexican Pro Level A license. Prior to joining Asphalt Green, he served as the executive director for the New York Fusion Soccer Club. He has experience preparing athletes to compete at the next level in the NCAA and beyond. Mikaela joined the Asphalt Green staff in August 2016. 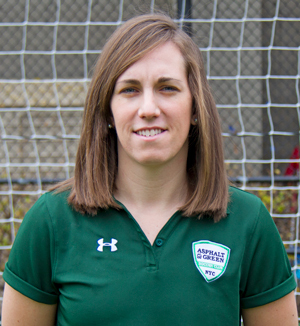 She is responsible for all operational aspects of the Asphalt Green Soccer Club including coordinating games and practice schedules, overseeing logistics for tournaments, managing the program’s budget, and ensuring the day-to-day runs smoothly. She holds a bachelor’s degree in business management and is currently pursuing an MBA. Mikaela had a very successful soccer career. Originally from Salisbury, England, she was a member of the U15 and U17 England National Teams and traveled all over the world to compete. Her team was a finalist at the World Futsal Championships in Brazil in 2006. She continued pursuing athletics at Monroe College, where she served as captain and led the team to the NJCAA Division III National Championship, earning All-American honors twice. After graduating, Mikaela joined Monroe College’s women’s soccer staff as assistant coach for four seasons, achieving a 52-9-3 record and reaching the NJCAA national tournament three times. Dean has experience coaching at the high school, club, collegiate, and U.S. Soccer Development Academy (USSDA) levels. He also played professionally in his native England. Before joining Asphalt Green, Dean served as an assistant coach at Manhattan College (NCAA Division I, 2013-2014) and Monroe College (NJCAA Division I, 2014-2015). While at Monroe College, he helped lead the team to the national championship match and a Final Four appearance. At the club and high school levels, he has developed players who went on to compete for top athletic and academic institutions in the NCAA as well as athletes on the US youth national teams. Matt has been with the Asphalt Green staff since 2009. Originally from Oregon, Matt played competitively since he was 10 years old, eventually earning a spot on the Vassar College soccer team. There, he was named to the Academic All-Conference team. As a coach, he has worked alongside some of the most prominent youth soccer trainers in the world at FC Barcelona camps in New York. 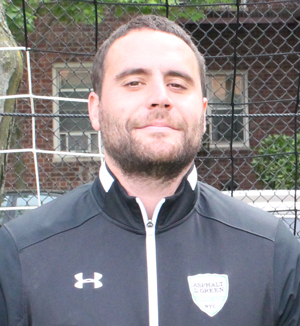 Prior to joining Asphalt Green, Matt coached at the New York Fusion Soccer Club, where he worked with over 20 players who went on to play at the college or professional level. He is also currently an assistant coach at the No. 14-ranked secondary school in New York, Martin Luther King, Jr. High School. Eddie is a USSF-licensed coach with experience developing players ages 12-18 since 2011. 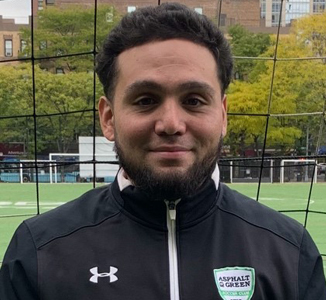 Before joining the Asphalt Green staff in 2018, he was an assistant coach for the National Premier Soccer League's Brooklyn Italians and lead coach and training coordinator at Soccer Shots in New York City.